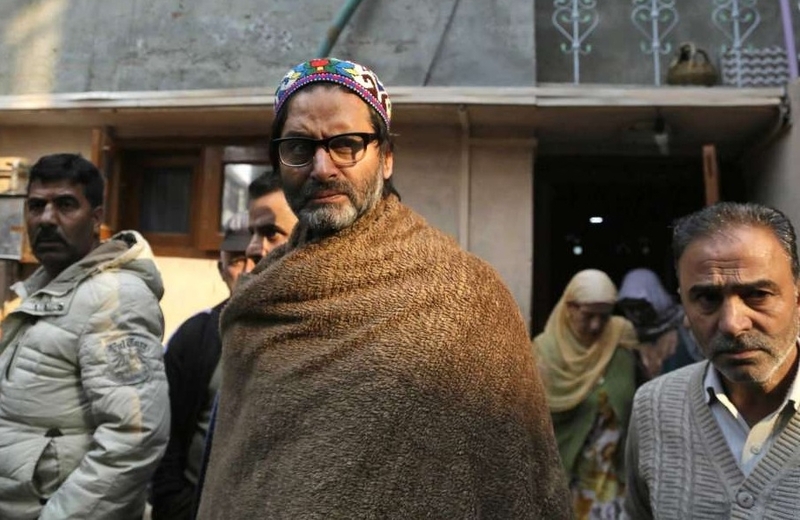 THAT the Central Government has banned the Jammu and Kashmir Liberation Front (JKLF) led by rabid secessionist Yasin Malik for participation in separatist and terrorist activities since 1988, indicates that the Centre is pursuing its anti-insurgency agenda with zeal and dedication. And even as the ban was being imposed on JKLF, the security forces arrested Sajjad Khan, a close aide of Pulwama terror strike mastermind Mudasir Khan, demonstrating further how unrelenting the Government has become in the fight against terror. On a parallel track, the Government investigators are also swooping down on various frontal outfits to peg them down on charges of funding terror. Thus, the Government is on an obvious campaign to corner every possible person or outfit connected in some or the other way with terrorism and separatism in Kashmir in a no-nonsense approach. Nothing is more welcome than such a sustained drive. Such action by the Government was always taking place previously as well, but not in such a concerted manner like now. In the past one and a half years since the Government decided ‘enough was enough’ following a terrible spell of stone pelting on security forces, the action against terrorism has assumed a concerted shape and formidable size. It is now beginning to show desirable results. For the first time in many years, the separatists and terrorists have begun sensing the heat of Government action, which is welcome by any standard. Despite this, terrorist activity had continued in Jammu and Kashmir. There were a few very major terror strikes that woke the Government up with a start. The Pulwama terror strike, however, brought the situation to the point of ‘thus far and no more’. What has followed since that point on February 14, 2019, is one of the most desirable spells in contemporary history of fight against terror. For most of the world, India became a rallying point, at the United Nations, at various other international platforms, and also in military action elsewhere. India’s response to Pulwama and her subsequent political and diplomatic action became a model for other nations to follow. In fact, India has always acted with a tremendous sense of responsibility when confronted with an impossible-to-avoid situation. Twenty years ago in Kargil, for all the 76 days of conflict, India acted with a great sense of responsibility. So much so that the United States Secretary of State Mrs. Madeleine Albright said to Minister of External Affairs Mr. Jaswant Singh, “Jaswant, you put no foot wrong”. That remark symbolised the global compliment India deserved in those days of extreme crunch. Post-Pulwama, too, India’s conduct has been of a similarly high order, no matter what the jaundiced Opposition might say in its frustration and helplessness as the Government is scoring point after point of success in all its undertakings. The Government must continue to exert pressure on separatists and terrorists and their frontal outfits in a no-nonsense fashion so that all the wrongdoers learn the right lessons. The Kashmir tangle may not be an easy-to-sort-out affair, after all. Yet, sustained pressure on separatists and terrorists will certainly contain their unholy activities and also communicate to their masters in Pakistan that India is a tough ball game.